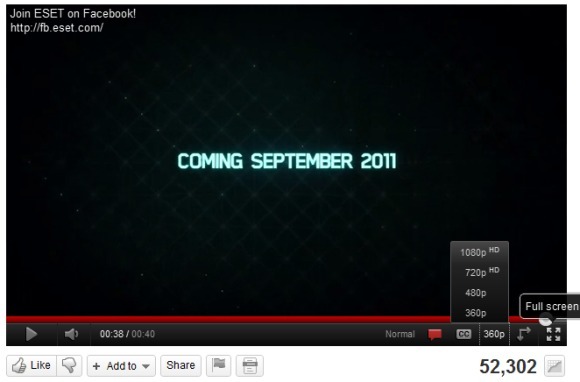 YouTube's HTML5 player has improved a lot lately and it's almost ready to replace the Flash player. 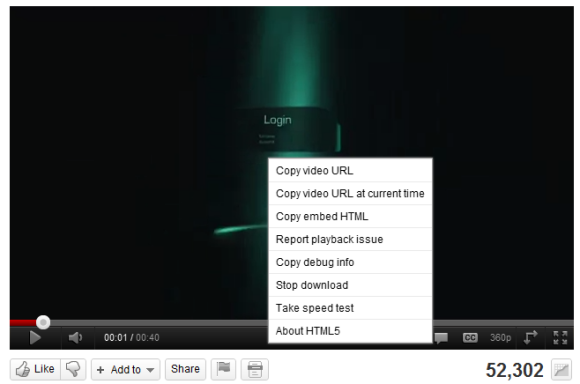 You can enable annotations and captions, the contextual menu lets you copy the embedding code and the video's URL, YouTube now offers 480p and 1080p options for WebM videos and there's native full-screen support if you use a Firefox nightly build or Chrome's dev channel. I've also noticed that sometimes embedded videos use the HTML5 player even if you've already installed Flash and you haven't enabled the HTML5 trial. Still hasn't fixed the biggest problem, which is the videos not getting marked as watched on the subscriptions page. I like the HTML5 player because it does not run the plugin container with Firefox. 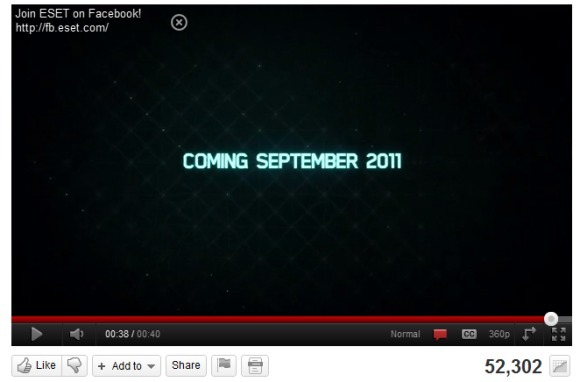 However, I always get this annoying flickering at the bottom of the video, but maybe that's a Firefox or driver bug. I used it for ages, but I kept running into problems with it =/ I was almost under the impression that the project had been dropped, although that would be ridiculous. YouTube's HTML5 full-screen actually started working in Firefox Aurora, which is *almost* the same as Chrome's dev channel. i usually use 240p on youtube to save on internet use (i dont care about quality, just the information) but html5 doesnt use 240p, so it would be good if there was an option to choose between html5 and normal. sometimes html5 wont even load the video. and the html5 videos in my subscription box wont go away. basically, html5 is worse imo. just my opinion so dont reply to this like "but blah blah blah"
My display driver crashes when running HTML5 content, it's not reliable. HTML5 lacks security. Thanks a bunch, HTML5 FTW.